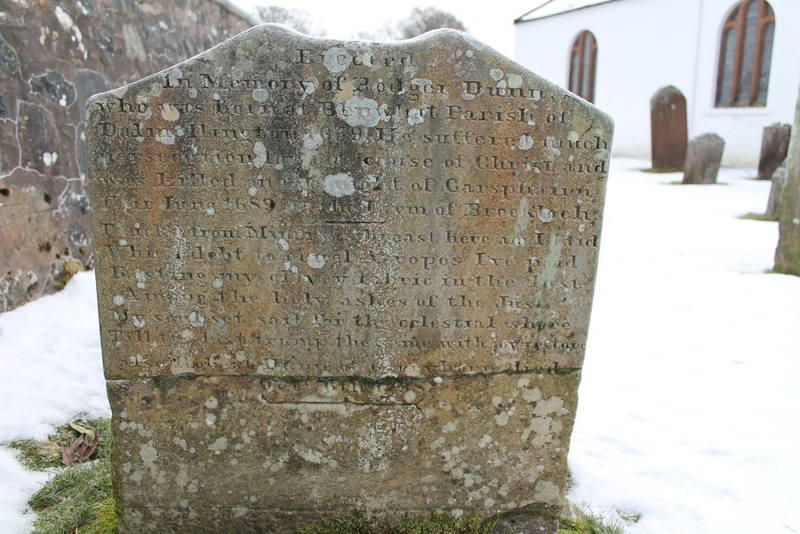 Erected in memory of Rodger DUNN, who was born at Benwhat, Parish of Dalmellington 1659. He suffered much persecution for the cause of Christ and was killed on the night of Carsphairn Fair June 1689 on the Farm of Brockloch. “Pluck’d from Minerva’s breast here am I laid, Which debt to cruel Atropos I’ve paid, Resting my clayey fabric in the dust, Among the holy ashes of the Just, My soul set sail for the celestial shore, Till the last trump the same with joy rested” Also Robert DUNN of Garryhorn who died Oct 6th 1738. 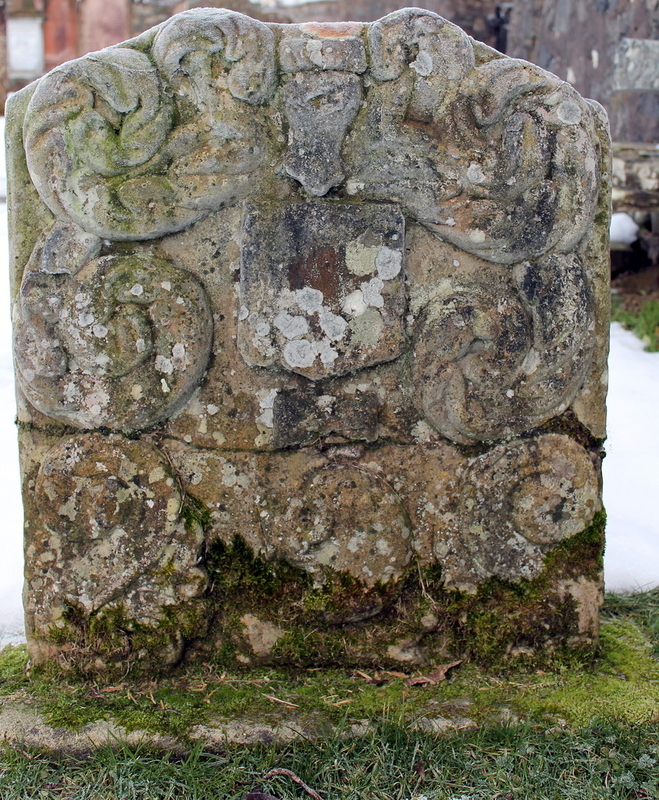 GC, “Kirkyard gravestone 231,” Carsphairn Archive, accessed April 22, 2019, http://carsphairn.org/CarsphairnArchive/items/show/231.